Mohamed Salah admits Liverpool were not at their best in their dramatic win against Tottenham Hotspur but insists 'finding a way to get the points' is a marker of a top side. 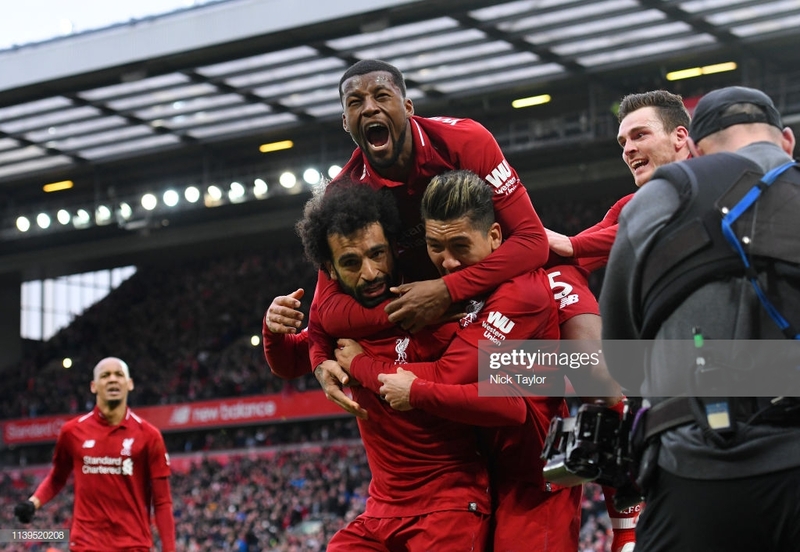 The Reds' hopes of a first Premier League title looked set to suffer a potentially decisive setback when Lucas Moura cancelled out Roberto Firmino's goal. Spurs had dominated the second half and looked capable of winning it, only for a Toby Alderweireld own goal following Salah's header in the 90th minute to save the home side. The goal, which sparked wild celebrations at Anfield, may prove to be a championship moment. "It’s a big difference [winning late on], especially if you see the fans after the game – it was crazy," he told Sky Sports. “They just really want to win the Premier League and we’ll do everything to make that happen. They help us a lot during the game, the atmosphere and they push you hard to create chances and play better. The announcer at Anfield credited Salah with Liverpool's winner but he has been denied it in the official records. The Egyptian, last season's top scorer, has managed only a single goal in eleven games but was keen to stress that his individual objectives are irrelevant at this stage. “The three points are the most important thing – if they give the goal to me is not very important, I don’t care if not,” said the forward. Up next for Liverpool is a trip to relegation-threatened Southampton on Friday night. They are currently two points clear at the top of the table but have played a game more than rivals Manchester City, who host Cardiff in midweek. With City usually so imperious, Salah admits Liverpool cannot afford to drop any points in their six remaining fixtures if they are to win the league.